Today's card is more playing with watercolour washes. This was an experiment and it didn't turn out as I had planned. 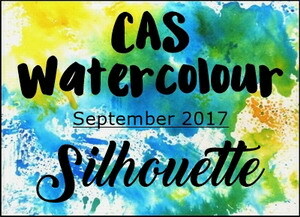 :) I was looking to create a summer sunset with a watercolour flat wash. I was hoping the colours would blend into each other a little more, but it's still a pretty background, so I'm sharing with you. I wet my watercolour paper first, and then mixed up my paints with water to create pools of colour to work with. 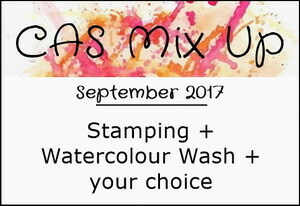 You need to have the colours mixed ahead so that you don't have to mix more as you go along. I started at the top with a few strokes of pink, then changed to orange (overlapping a bit with the pink), and finally to yellow (overlapping a bit with the orange). I added a die-cut silhouette of some trees and leaves overtop so the sunset could peek through. Lovely "Loll" colours for the background - great with the simple white trees and their frame. Have a great time on Galiano. Your gorgeous card is so beautiful and such a wonderful clean, crisp CAS design. 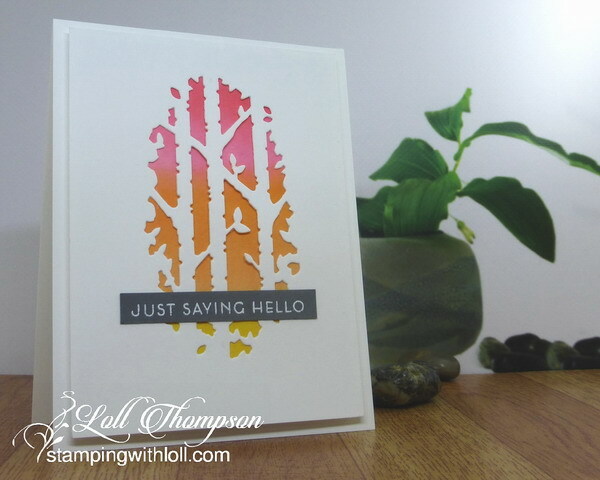 I think your Watercolour wash looks so pretty behind your die cut birch tree framing. TFS my friend and have a wonderful time with the boys. Hugs..
A beautiful sunset and card, love the trees. Love this card with the unique diecut front and beautifully colored sunset. Sometimes what we imagine doesn't work out but surprises are fun, too. Enjoy your vacation and I hope you see sunshine soon. I do not believe :-) You are on vacation and you can not break away from creating cards! This is a real addiction, Loll :-)) But I'm glad because your amazing projects are still going on. The background is beautiful, I love the colors used and their blending. It must have been a wonderful family fun. Have a nice holiday, Loll. 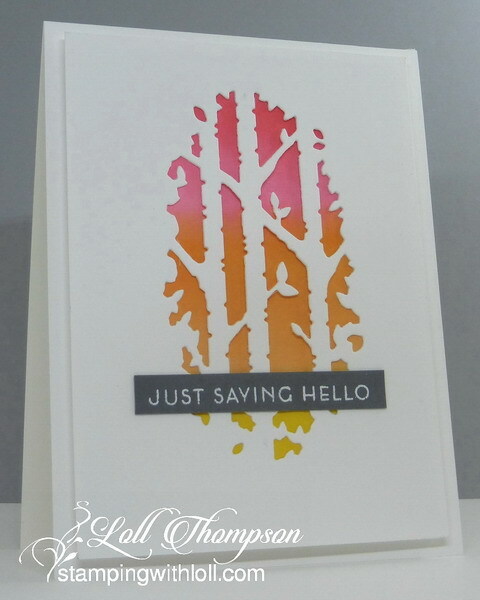 This is a gorgeous background for this awesome die cut, my friend! I believe something else is going on my list! No rain all summer and then on your vacation. But I know how much you folks need the rain. And I'll be the water view is still beautiful! Enjoy! Your summer sunset is gorgeous, Loll and all too soon we will be saying good bye to them for a while. Love the use of the die cut over this. Once again your color blending is impeccable. Great idea to take Zigs on vacation too- a lot easier to carry than the entire craft room! That die is fabulous, Loll, as is your watercolored sunset. Sorry about the rain but I'm a game girl so that sounds fun to me. Beautiful sunset behind the trees! How fun that you had company when you were coloring! Enjoy your vacation and relax! Love the silhouette in the white. Such a beautiful colour wash and liking the sentiment strip in the dark grey. Glad you are managing to relax and chill out and enjoy the company x (and the home cooking x).